Yanovsky was born in Toronto in 1944. He dropped out of school at the age of 16 and began playing folk songs in coffeehouses. After a time living on a kibbutz in Israel and busking on the streets of Tel Aviv, he returned to Canada. Soon after his return, Yanovsky met Denny Doherty, later of the Mamas and the Papas. Doherty invited Yanovsky to join his folk-blues combo the Halifax Three. Moving into New York’s folk-fevered Greenwich Village scene at the time, Yanovsky also met the talented folk musician, John Sebastian in 1964. After the Halifax Three split up, Yanovsky and Doherty joined Cass Elliot and her first husband Jim Hendricks’ band, The Big Three. The folky pop/rock group had changed its name to The Mugwumps, added drummer Art Stokes and John Sebastian on harmonica and made one album. Sebastian was impressed by Yanovsky’s guitar aptitude, and the fact that he could effortlessly play Elmore James, Floyd Cramer and Chuck Berry without losing his own towering personality. When Sebastian left the Mugwumps six months later, he recruited Yanovsky to start a band that would harness their shared love for the blues, and infuse their traditional folk roots with the energy of rock. They called it the Lovin’ Spoonful. Amid the explosion of protest-leaning folk music, the band decided to write decidedly non-political songs. Initially ignored by record companies, the Spoonful got their first real attention when Phil Spector came to see a performance at the Night Owl Café in the Village in New York City – although they turned down his offer to produce them. Their first recordings were on the Elektra record, What’s Shakin’, alongside tracks by The Paul Butterfield Blues Band, Al Kooper, and Eric Clapton and the Powerhouse. Shortly after, the Spoonful released their first single, “Do You Believe in Magic?,” (from the debut album of the same name) on the Kama Sutra label. Soon the band were being touted as the “American Beatles.” And with good reason: they delivered seven top-10 singles in just two years. The band’s biggest hit of all was “Summer in The City,” which remained at the top of the charts for three weeks in 1966. 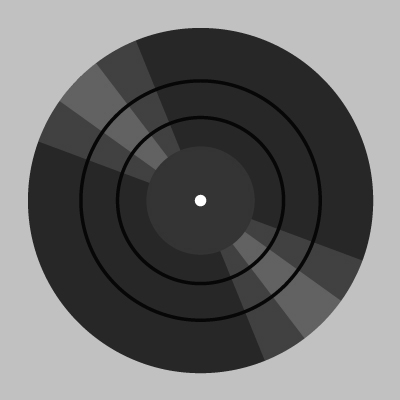 Four other albums followed – Daydream, What’s Up Tiger Lily? (the soundtrack to the Woody Allen film), Hums of the Lovin’ Spoonful, Best Of the Lovin’ Spoonful (which was the No. 3 album in 1967), and You’re A Big Boy Now, which would be Yanovsky’s last contribution before leaving the group in 1967. A year later the band broke up. Later Yanovsky played guitar with Kris Kristofferson, co-produced Tim Buckley’s 1969 album Happy Sad and released a solo album, Alive and Well in Argentina in 1971. He returned to Canada, briefly working in TV production before finding success as a restaurateur. With his second wife, Rose Richardson, he opened the popular eatery, Chez Piggy restaurant, in downtown Kingston. The couple also published The Chez Piggy Cookbook in 1998. Yanovsky reunited with his old bandmates on a few occasions over the years. Notably for an appearance in the 1980 Paul Simon film, One Trick Pony, and to perform some of their hits on stage at the Lovin’ Spoonful’s induction into the Rock and Roll Hall of Fame in 2000. He died in 2002 in Kingston from a heart attack. He was 58. After the Halifax Three disbanded, Doherty and Yanovsky formed The Mugwumps with Cass Elliot and Jim Hendricks. 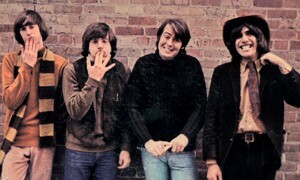 After the Mugwumps broke up, Yanovsky and John Sebastian formed the Lovin’ Spoonful and made their first recordings for Elektra Records in early 1965. The Lovin’ Spoonful’s 10 hit “Rain on the Roof” and the No. 8 hit “Nashville Cats” meant the group’s first seven consecutive Hot 100 hits reached that chart’s top 10. Mostly a self-taught musician, he began his career playing Toronto’s folk music coffee houses. One of the early adopters of the western look among rockers: frequently sporting a cowboy hat and fringed “Davy Crockett” style clothing. After his music career, Yanovsky became a chef and restaurateur, establishing Chez Piggy restaurant in Kingston, Ontario in 1979.